Dr. Murphy is a more recent resident of the east coast, having grown up in Denver, Colorado. Dr. Murphy found his start in dentistry by working at his mother’s orthodontic practice throughout grade school. Dr. Murphy is the most recent addition to the Newtown office of Dental Associates and is very excited about getting to know the area. Dr. Murphy graduated from the University of Colorado at Boulder with a dual degree in Human Physiology and Spanish Language and Literature. During his time as an undergrad, he completed a study abroad program in Madrid, Spain. He then went on to earn his Doctorate of Dental Surgery (DDS) degree at the University of Colorado School of Dental Medicine. 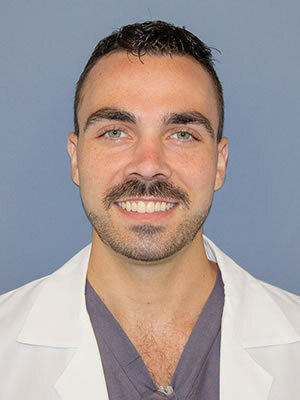 After dental school, Dr. Murphy was accepted to BronxCare Hospital in the Bronx, NY where he completed a hospital-based one year General Practice Residency. He still lives in Harlem and loves exploring all that the city and surrounding area have to offer. In his spare time, he enjoys reading, hiking, playing piano and dreaming about the next time he can escape to Spain!